The following was originally published in the COR’s Pesach Guide. Below is a list that addresses common scenarios for those people who are not staying home for the Pesach holiday. Kol Chamira is said. If the bedika is not being done on Bedika Night, substitute bershusi (in my possession) with bebaisa hadain (in this house). It is more appropriate to perform a bedika rather than to absolve oneself of the requirement to have a bedika performed by selling the entire house on the 13th of Nissan. In case of need, speak to your Rabbi. 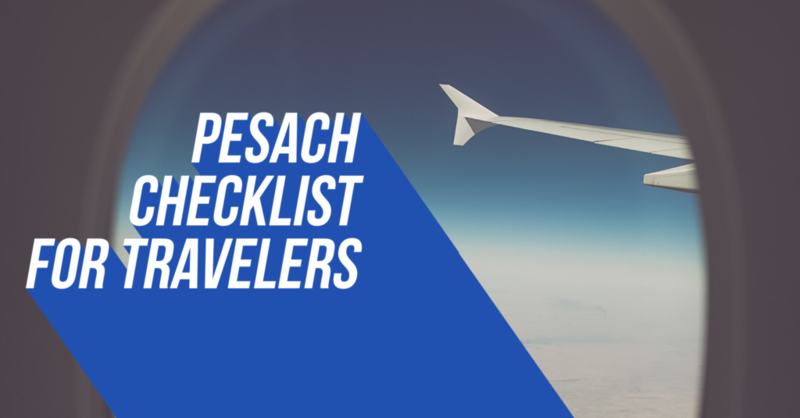 IF AT YOUR DESTINATION, PESACH WILL START AND END AT DIFFERENT TIMES THAN YOUR PRIMARY RESIDENCE, THERE ARE A NUMBER OF FACTORS THAT YOU MUST BEAR IN MIND WHEN SELLING CHAMETZ. if the chametz being sold is not in the location where you are staying for Pesach, it is preferable to also make sure that the chametz will be sold before the latest time for owning chametz in that location.